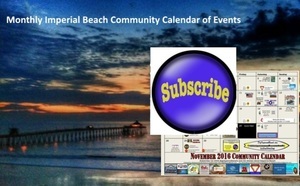 DigIB Weekend Happenings: Check out events in and around Imperial Beach and the South Bay! Oct 13, 2017 Now You Can Enjoy Karaoke Every Friday Night at the Fleet Reserve! Oct 14, 2017 Imperial Beach Fire Department Open House is Saturday October 14th.